Nothing beats a good cup of tea. There is not a problem I’ve found that cannot be solved, or at least made easier to deal with, with a good strong brew between your hands. I’m always looking for new concoctions to pop in the teapot but sometimes, I really don’t want to have to buy an entire box of pyramids just to try it, I mean, what if I don’t like it? With so many weird and wonderful infusions on offer these days you're bound to find at least one or two that no amount of honey can make taste better. 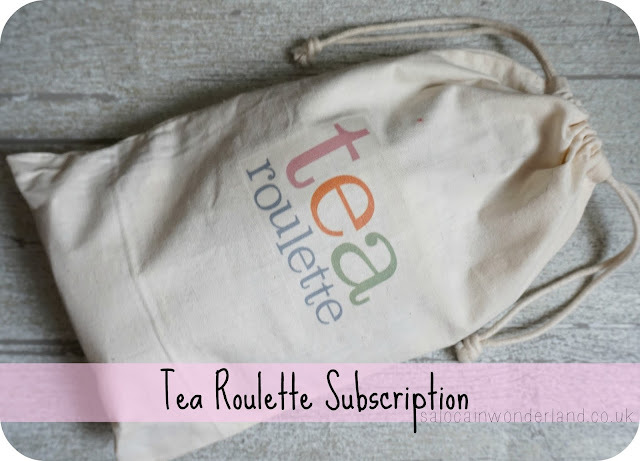 Insert Tea Roulette a monthly tea subscription service that takes the hassle out of having to buy a whole box, and instead provides you with 30 chosen at random teabags for your brewing pleasure. I’ve been on the hunt for a good tea subscription that won’t break the bank and is packed with enough variety to keep me entertained. I find most tea subscription services send out 1 - 3 sachets of tea, which is great as you get a few brews out of each, but the variety of each box is clearly limited. 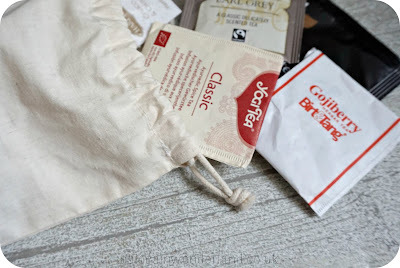 Tea Roulette sends you 30 individually packeted tea bags, from brands you will recognise to new ones you have yet to discover. That's 30 separate pots of tea, 30 new flavours, infusions, brands and flavours to try. 30. 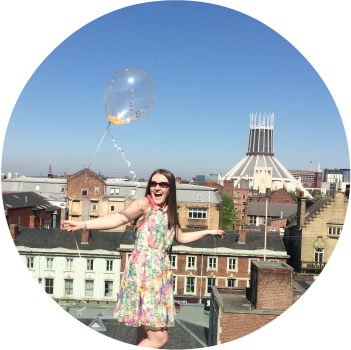 Can you tell I’m excited by this? 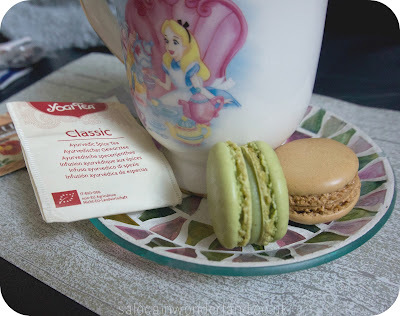 From The English Tea Shop to Yogi Tea, We Are Tea, Zest Tea, Vintage Teas, Ringtons and Solaris Tea are just a sample of the brands I found in my tea pouch - yes, pouch. Your tea comes in a really cute, good quality little pouch and is packaged so it fits through the smallest of letter boxes too. I love popping my hand in the bag, having a rummage and seeing what the next tea-tastic surprise will be. Fruit, herbal, green, black, early grey, English breakfast and even chocolate and chilli are just some of the flavours I received in my first Tea Roulette pack, there was even a strawberry cheesecake flavour that I had to fight the Mr over. He won but I did get to taste it and it was like drinking warm Hubba Bubba strawberry gum - trust me, it was delicious! Tea Roulette comes in at £9.95 a month, including p&p, so that's roughly 33p a brew, which is bargains considering you get to try so many new brands and flavours. I actually love taking these tea-bags into work to liven up my afternoon brew, which stops me from popping to Starbucks for something different. I did receive a couple of duplicates in my bag but I didn’t mind, it made it easier to share those ones with the Mr, and if it happened to be one I really enjoyed, I got to brew up another. The only downside is that you get no tasting notes or further information apart from what’s on the individual sachet - and some come in clear bags so no brewing information. Tasting notes would be an interesting read but I think the trick they’re missing here is having a point to refer to if you really really loved a tea and would love to purchase a full box. There were so many new brands in my tea pouch, most I’ve never seen on the shelf in Tesco before either. Having a store style section to the tea roulette website would be amazing. In all, I am in love with this subscription. So much variety, a great price and a wonderful way to explore the magical world of tea. One pouch has lasted me well over a month and I can’t wait to see what the next pouch brings me., Tea Roulette really has answered my tea loving subscription heart. What would be your ideal subscription box? I love tea but is worth it? I'd say yes, if you love to try new teas but don't want to commit to a box of say 20 just to 'try' it, it's a great way to find something you really do like and then commit to a full sized box. It's also just really fun not knowing what tea is going to come next if you play true roulette style! You had me at tea roulette! What a bloody brilliant idea. Oooo this wasn't via me but you've got me intrigued, that sounds like an ideal subscription to look into, especially over the Summer! I'll have to look into that one! I love a good cocktail but I'm a sucker for a really good brew too! DISNEY CUP ahahhhhahha oh you! This subscription looks fab for tea lovers. I love tea but I'm a bit picky so I'm not sure I'd like a lot of the tea bags. Oh me! Hahaha do you think I own any other kind of mug?? This has got to be such a cute subscription "box"... I love the idea of getting new tea! I thought so too! It's the little linen bag that really makes it different AND so much easier to store than a box box flu of tea!